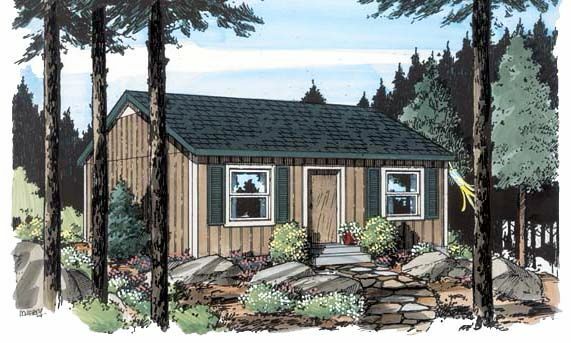 Living in a tiny home usually demands sacrifices of one kind or another, but the end results are always worth it! 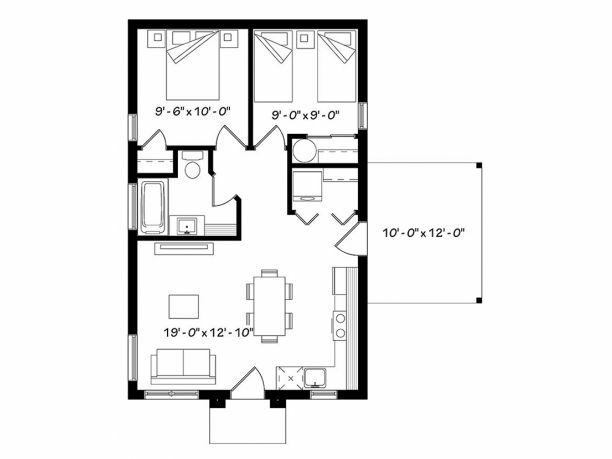 The kitchen is the least important room in the house for some of us, and these plans take that into consideration. Luckily, it's still possible to have an efficient and useful kitchen even if the space you're working with is quite small. The following plans all have functional kitchens that take up as little space as possible but aren't small enough to keep you from cooking! 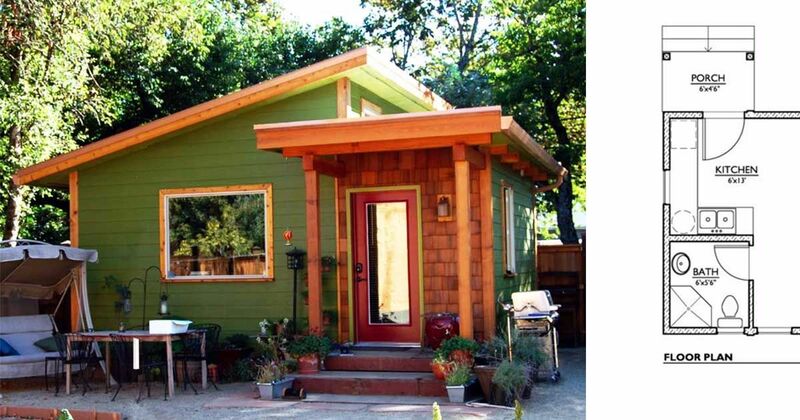 This tiny studio design from Houseplans comes in at 320 square feet (30 square meters). The front door is located under a small covered porch, and it leads directly into the L-shaped kitchen nook. The bulk of the home is taken up by the main living space, but there is also a bathroom with a shower in the corner behind the kitchen. 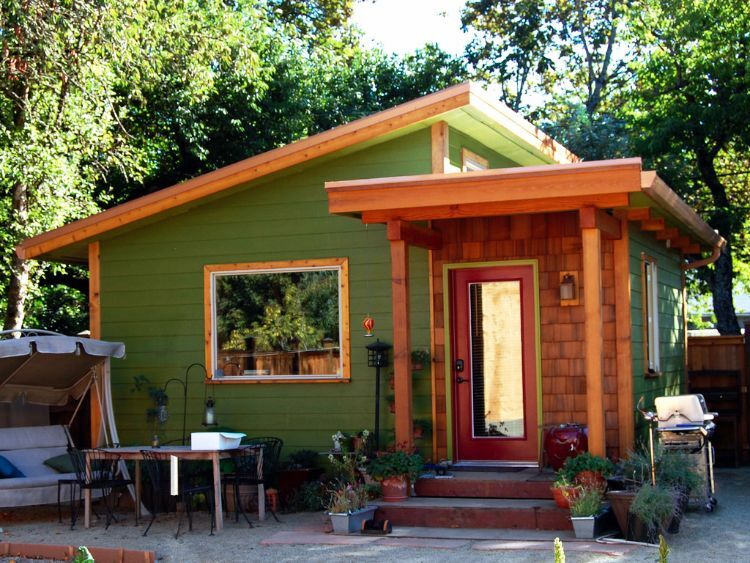 Measuring 480 square feet (45 square meters), this home from ePlans has a small front porch and a large terrace on the side. The front porch leads directly into the kitchen. Sliding glass doors in the open-concept living and dining room lead to the side terrace. A bathroom with a tub is right behind the kitchen, and two bedrooms are found at the very back of the home. 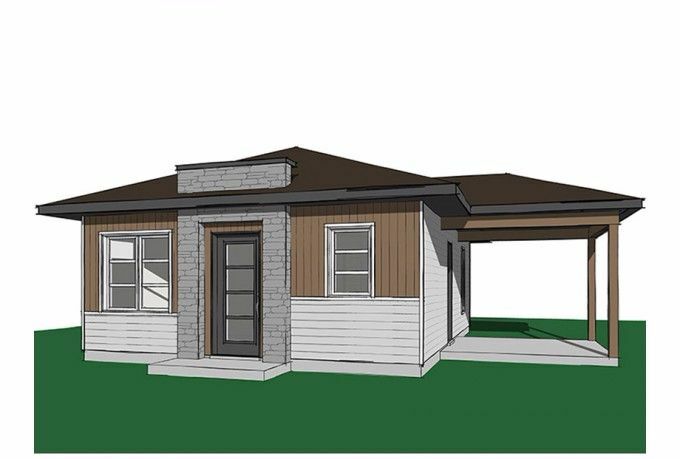 Measuring 600 square feet (56 square meters), this design from Family Home Plans has a large porch at the front. Double doors open into the main living area of the home; the kitchen is on the left, and the living room is on the right. A freestanding wood stove partially divides the two rooms. 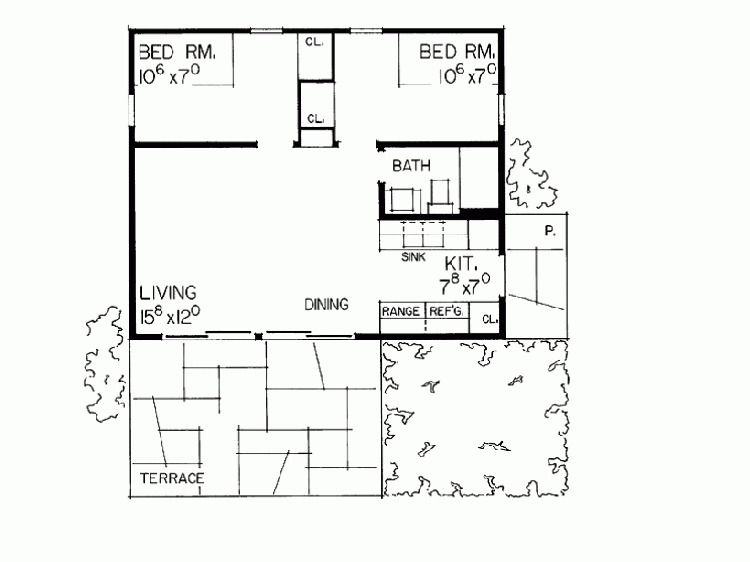 Two bedrooms and a bathroom with a shower are found in the back portion of the home. 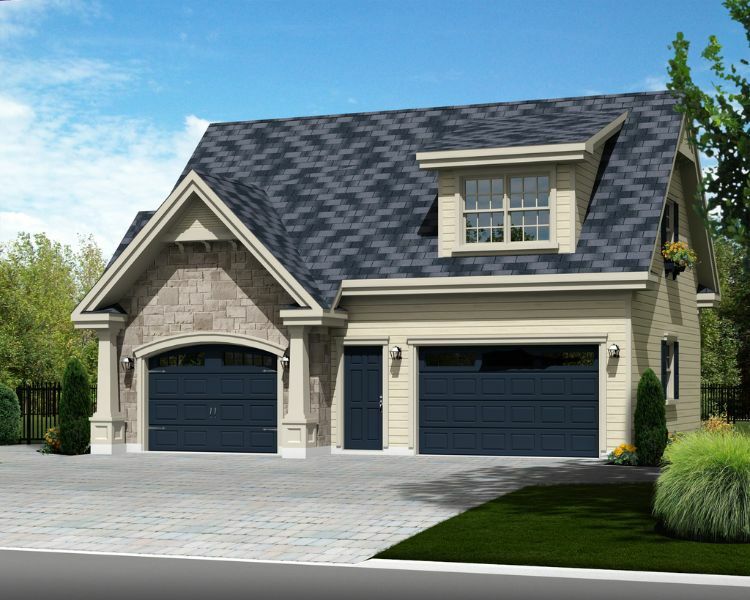 This lovely little design from Houseplans sits over a two-car garage, and it comes in at 683 square feet (64 square meters). The home is entered by a flight of stairs that comes up from the garage below. There is a small coat closet at the top of the stairs, and an open-concept kitchen and living room are found to the right. The kitchen runs along the back wall of this room and includes a convenient island. 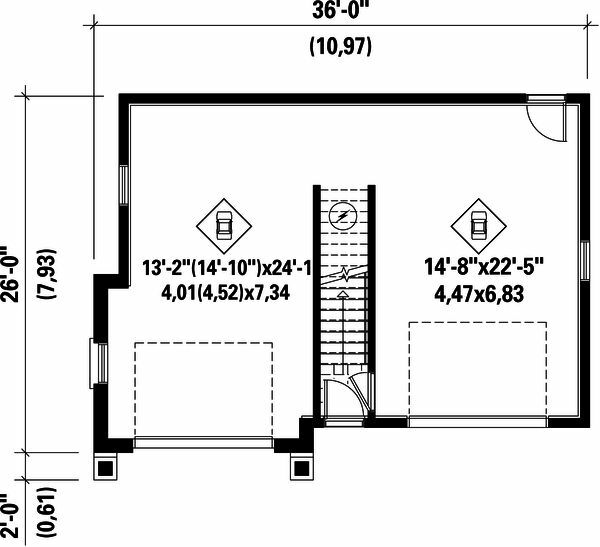 The bedroom is on the left side of the stairs, and a bathroom with a tub is next to it. 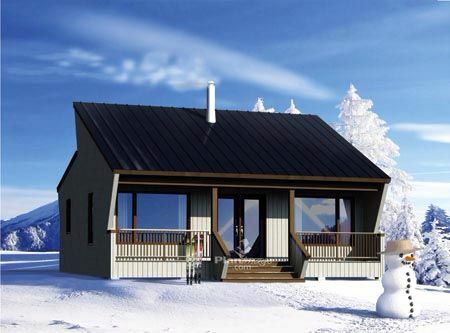 At 640 square feet (60 square meters), this home from ePlans has everything a small family would need to live comfortably. 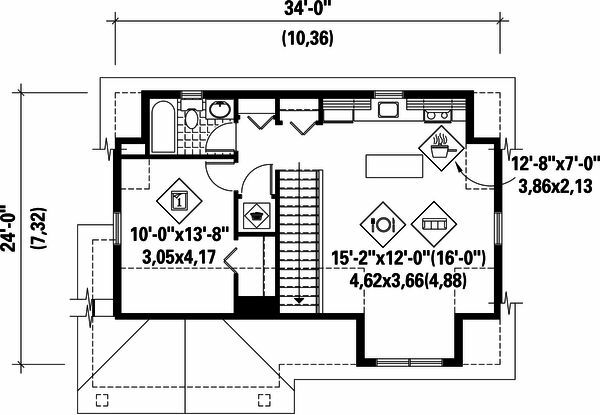 The front portion of the home is taken up by the open-concept living room and dining area; the small L-shaped kitchen is on the right side. A covered porch is accessed from a side door near the kitchen. 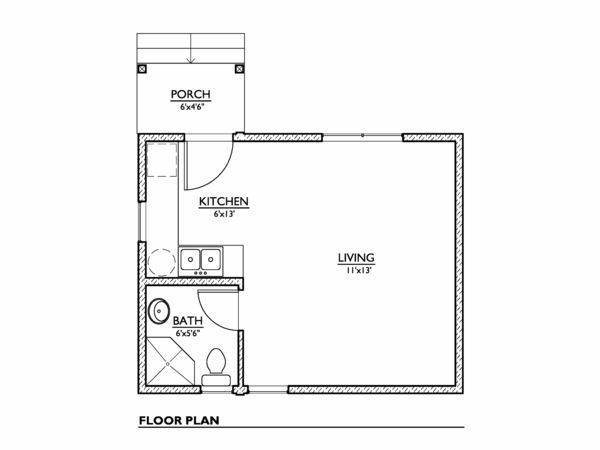 A bathroom with a tub is behind the living room, and two bedrooms are at the very back of the home. 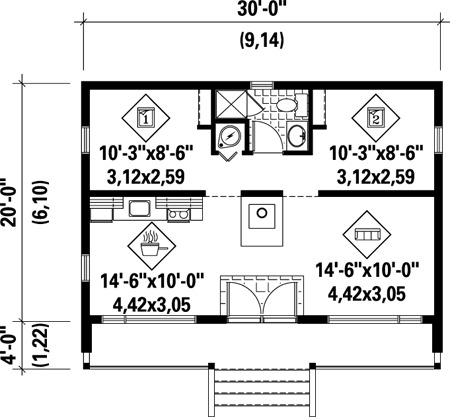 This design from Family Home Plans manages to fit in two bedrooms despite measuring only 576 square feet (54 square meters). Once inside the front door, the living room is to the left, and the simple eat-in kitchen is to the right. 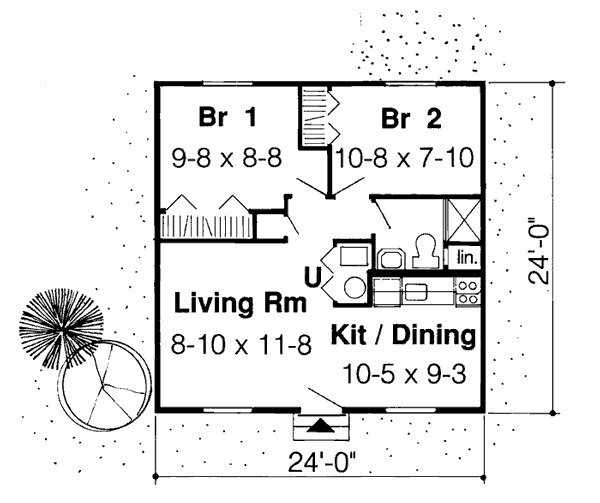 The private living space is at the back of the home; here, two bedrooms share access to a bathroom with a shower. 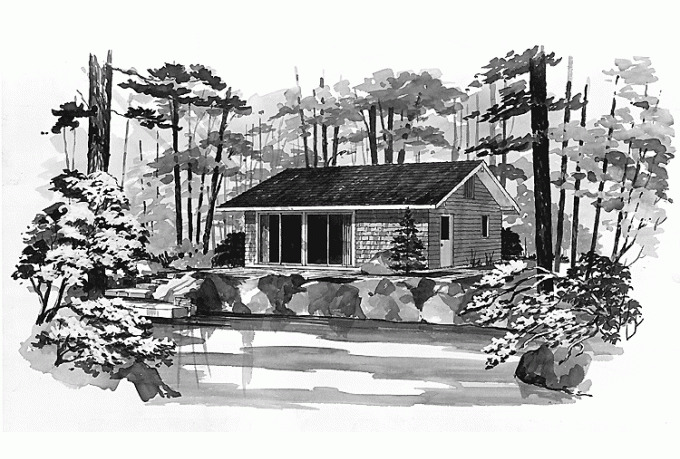 No matter where you live, you're likely to appreciate the attractive simplicity of a good old-fashioned traditional bungalow. They look equally at home in both the city and the country, and it's easy to find designs that suit families of every size! From the brownstones and beach houses of the East Coast to the Georgian-inspired homes of the West, from cozy cabins up North to French Colonial and Adobe properties in the South, every part of America has its own distinctive architecture.